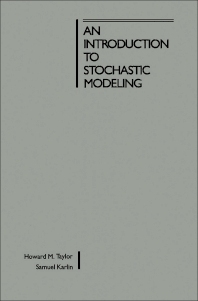 An Introduction to Stochastic Modeling provides information pertinent to the standard concepts and methods of stochastic modeling. This book presents the rich diversity of applications of stochastic processes in the sciences. Organized into nine chapters, this book begins with an overview of diverse types of stochastic models, which predicts a set of possible outcomes weighed by their likelihoods or probabilities. This text then provides exercises in the applications of simple stochastic analysis to appropriate problems. Other chapters consider the study of general functions of independent, identically distributed, nonnegative random variables representing the successive intervals between renewals. This book discusses as well the numerous examples of Markov branching processes that arise naturally in various scientific disciplines. The final chapter deals with queueing models, which aid the design process by predicting system performance. This book is a valuable resource for students of engineering and management science. Engineers will also find this book useful.